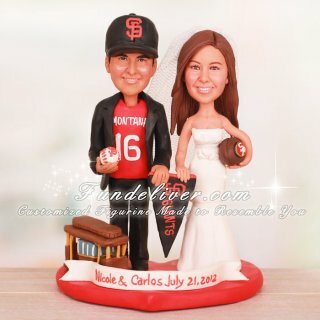 This is a completely customized San Francisco Giant and San Francisco 49ers wedding cake topper ordered by one of our customers. They would like a couple figurines to be holding a San Francisco Giants pennant flag together, standing on a red heart base. The groom is in a suit with a red jersey number 16 under suit, wearing a black SF hat, holding a baseball with SF orange on it. Next to his feet to his right, they would like to put a small cable car. 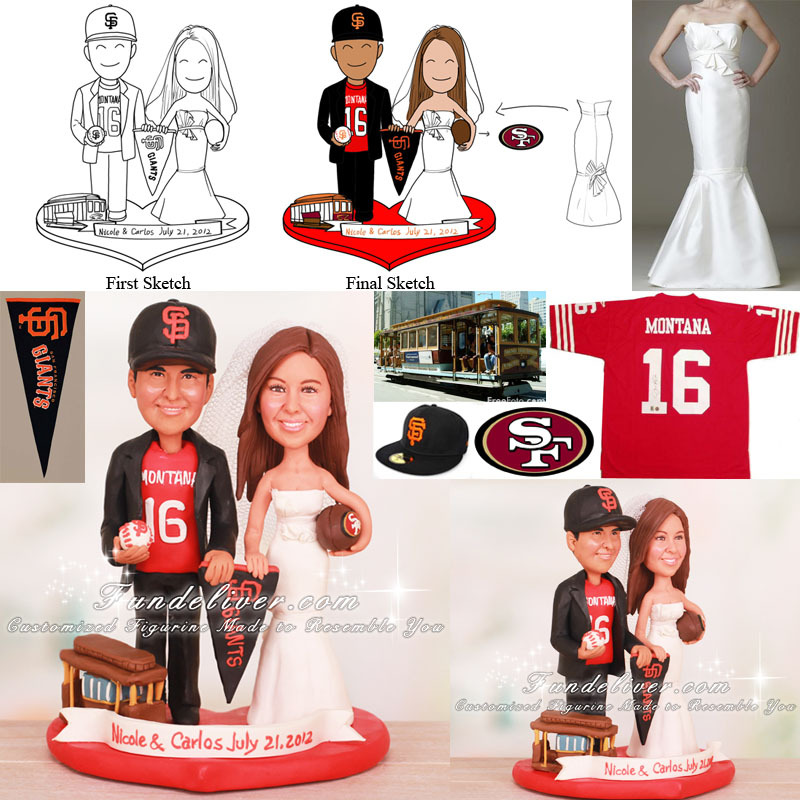 The bride is in a wedding dress and veil, holding a football with the San Francisco 49ers logo in red/black.